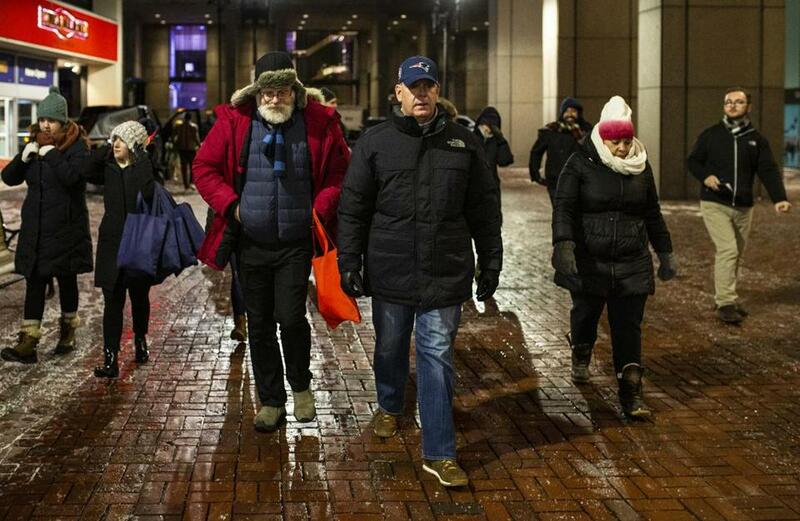 Mayor Martin J. Walsh and Jim Greene, director of the city’s Emergency Shelter Commission, led the city’s annual homeless census Wednesday night. City and state officials, and volunteers from civic, faith nonprofit and business organizations also took part. 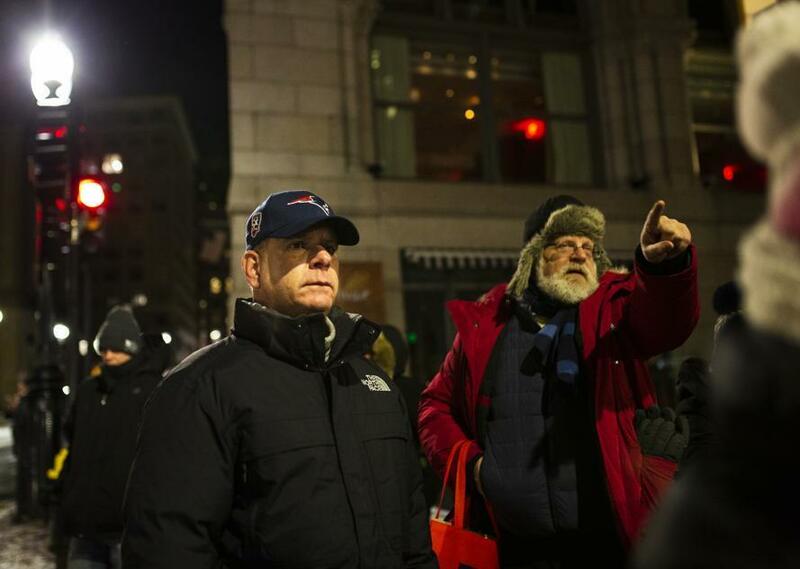 With temperatures in the single digits, more than 300 volunteers fanned out across Boston Wednesday night for the city’s annual homeless census. The census records information about all homeless people in Boston, including those who are living on the street, in emergency shelters, domestic violence programs transitional housing, and in specialized programs serving homeless youth and veterans, according to a statement from Mayor Martin J. Walsh’s office. Wednesday night was cold. The National Weather Service issued a wind chill advisory from 11 p.m. to 9 a.m. Thursday. Forecasters cautioned that wind chills could reach between 10 and 20 below zero. 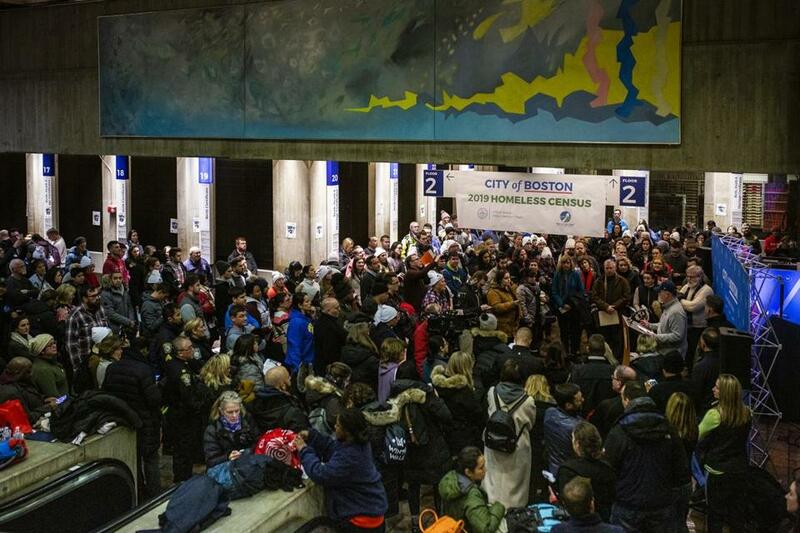 Mayor Martin J. Walsh, City and State officials, civic, faith, non-profit and business leaders and volunteers canvassed Boston for the City's annual homeless census. “This is more than numbers, we’re looking out for our neighbors,” said Walsh. “You’re going to actually stop and take the time out to talk to someone with the dignity they deserve as a human being,” he said. In about an hour, the group encountered a handful of people, and despite the frigid temperatures, some did not want to go shelters. Staff from the mayor’s office offered hats, gloves, and blankets to anyone who wanted them. Robert Pulster, the regional coordinator with the National Initiatives Team at the US Interagency Council on Homelessness, said he thought the chilly temperatures may have prompted people to seek shelter indoors. “The folks that we do see outside we’re making a special effort to encourage them to take advantage of the van to the shelter as quickly as possible,” he said. Mayor Martin J. Walsh spoke with City and State officials, civic, faith, non-profit and business leaders, and volunteers before they canvassed Boston for the City's annual homeless census.